Hi. 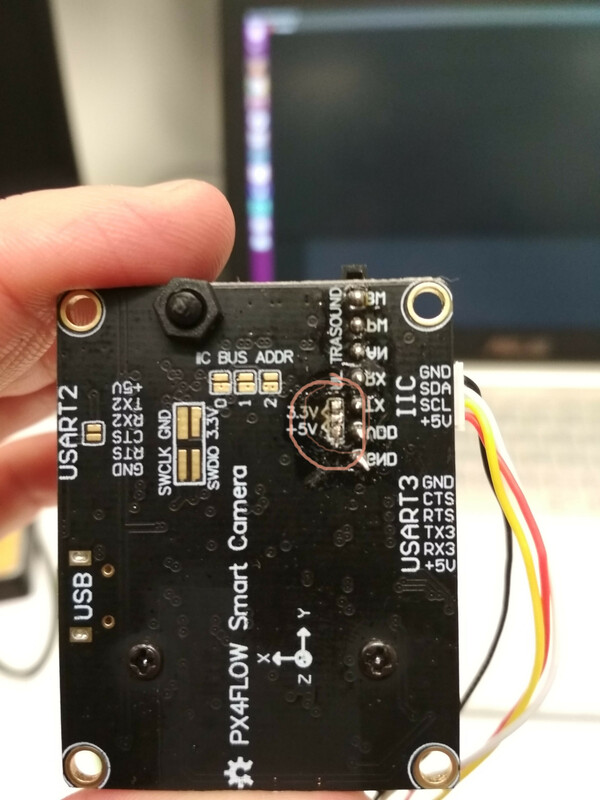 I recently bought a clone PX4FLOW , which MB1043 sonar is not pre-mounted on PX4FLOW board. I mount MB1043 but find no distance reading in QGC. After a few days of try-and-error. I find TTL jumper on the back side of MB1043 need to be soldered (which is not solder by default when MB1043 is shipping). 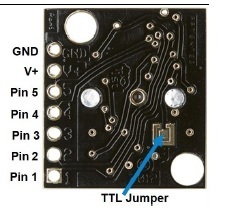 According to MB1043 datasheet, "solder the TTL jumper pads on the back side of the PCB... enbale TTL output for pin 5 ". I hope it will help some people. @chobits, I also run into this problem now, really appreciate your help! thank you for your post. Was facing the same issue. However after soldering the TTL jumper I still can't get any altitude information from the ultrasound sensor. I am trying to get height information using ROS Jade. The Px4flow is connected via USB cable. Is there any other way to read information form the sonar sensor? Had the same problem with clone of PX4Flow. Apart from soldering TTL jumper on sonar pcb, you also need to solder jumper on PX4FLOW board to power the sonar. See image, you should connect central pad with +5 V (+3,3 didn't work for me).